A server is someone who helps to lead worship in church, usually (but not always) at the Eucharist. 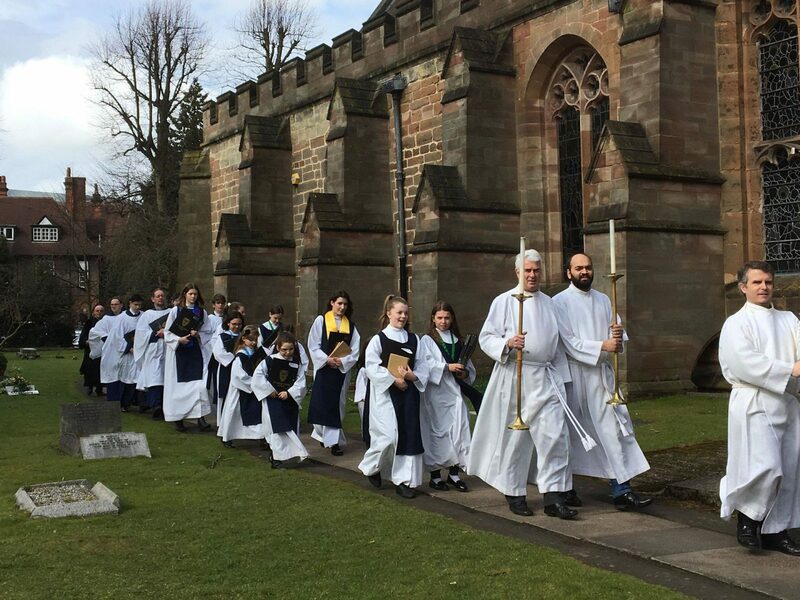 They often robe and carry out particular tasks like assisting the priest at the chair/altar (Master of Ceremonies), laying up the altar or holding a torch (acolyte), carrying the processional cross (crucifer), or helping with the incense (thurifer). Serving is a rewarding and vital calling, and a server is someone who is an example to the church community. They can be of any age or gender, though different settings will work for different people. Lay ministers are people who distribute Holy Communion to those worshipping. How could I become a server? We are always open to new servers joining our team! If you are an adult and interested in being a server, please approach a priest at St Alphege or contact Peter Rock for an informal, no pressure conversation. No prior knowledge is needed and you will receive training. If you are a child/young person and would like to serve in church, either at the All Age Eucharist or in general, please contact Linda Hicks. Regular special training sessions are given for our young servers.